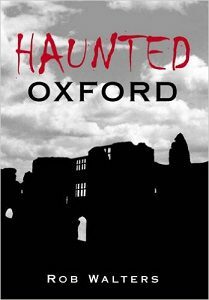 View basket “Oxford Town Trail – Oxford Gardens” has been added to your basket. Save by buying these two popular items together. The ideal companions for a short visit to Oxford. With maps and a walking tour of the city, this guide is the perfect introduction to Oxford, home to one of the world's most celebrated universities and known as 'the city of dreaming spires'. 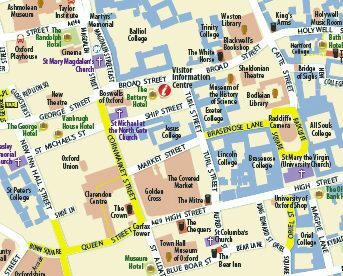 A robust colour map of Oxford's historic city centre, designed for ease of use while exploring the university city. 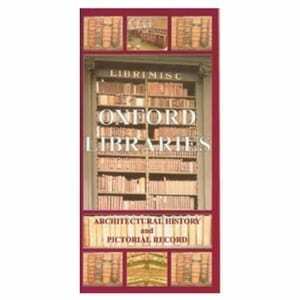 Also included is a guide to Oxford's transport links including Park & Ride sites and train stations. 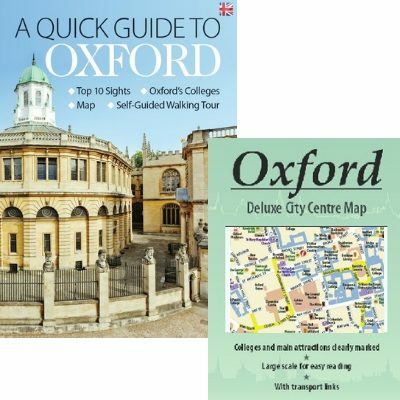 The Deluxe Oxford Map is a robust colour map of Oxford’s historic city centre, designed for ease of use while exploring the university city. 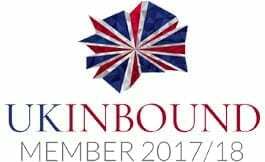 All places of interest are clearly shown, including Oxford University buildings, colleges, museums, attractions and hotels, and a guide to Oxford’s transport links including Park & Ride sites and train stations is also included. 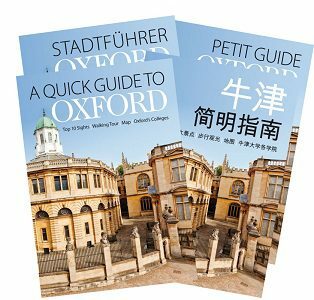 The Quick Guide to Oxford is a slim 24-page booklet crammed full of local information, history, things to see and do, and a self-guided walking tour route. 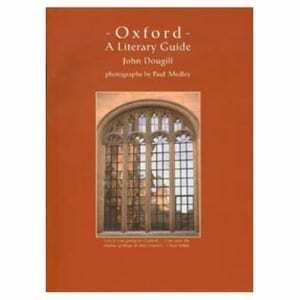 The guide is the perfect introduction to Oxford, home to one of the world’s most celebrated universities and known as ‘the city of dreaming spires’. Choose which language to receive your Quick Guide in when selecting your package. Usual prices Quick Guide 3.99 and Deluxe Map £1.99: Total £5.98.